If your city's records are available online through Webcheck Canopy, you can view them by selecting your city from the list. After you select a city, you will be taken to that city's main page. From there, you can search for property records. 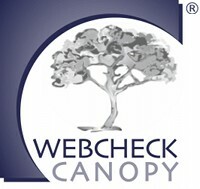 Webcheck Canopy is a system for up-to-date utility and lien payoff data. By providing immediate, up-to-date access to utility balances, Webcheck Canopy saves time and effort for cities, utility districts, and property closing agents. To use the Webcheck Canopy system, select the appropriate city or utility district from the drop-down list below. Webcheck Canopy is now being deployed in the western United States. Copyright © 2003-2019 Webcheck, Inc. All rights reserved.